No ugly aura around all magical lights, including, the candlelight and mage light spell. No ugly aura around ALL magical lights you see in the world, including, the candlelight and mage light spells. 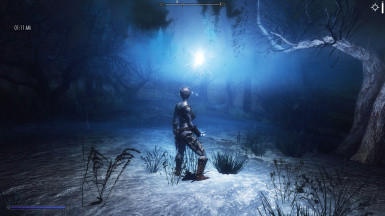 This mod was created mostly to eliminate ugly glowing visuals that pierce too far into the distantce with some ENBs. Doesnt effect the brightness of the spells, only removes the ugly glowing aura. It affects the meshes of magical lights, no esp. 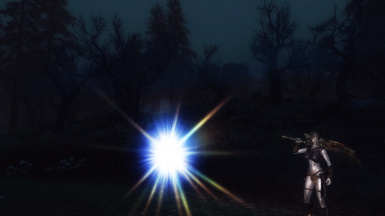 Overwrite any other mods that affect magical lights, or particle patches.